Nomis Consultancy’s Simon Jennings introduced ‘Open Clean’, a new innovation for the beverage can industry on the third day of Asia CanTech. Over the past few years, I’ve been working on creating a new and improved consumer experience for the beverage cans called Open Clean. This innovation brings to the market a more hygienic beverage can, with a better pour, whilst offering more opportunities for promotions. Open Clean is a fully developed product, which can be produced on current equipment, is available for testing and has evolved as a result of a development to overcome unmet consumer needs. Today, most beverage cans around the world are opened with the Stay on Tab (SOT). They were launched in 1975 replacing the original easy open ends the Ring Pull (RPT), on the premise of reduced littering and reduction of the risk of ingestion from discarded tabs. Yet surprisingly to many, despite much pressure from the global can makers and some brands, cans with SOT have not been accepted by millions of consumers in Asia and the Middle East, and there is still embedded resistance to these cans in Europe and the Americas, which appears on social media on a regular basis. This issue initially puzzled the family owners of a major brand of mineral waters. When they launched their orange-based soft drink, in RPT aluminium beverage cans in the mid 1970’s, it was very successful. However, their consumers didn’t welcome the later introduction of cans with an SOT end. Market research at the time showed that a significant proportion of consumers saw the can with SOT as unhygienic, as the dirty top of the can was being levered down into their drink. This turned consumers off beverage cans and their brand. This led the company to focus its soft drink brand development in glass for many years, despite its lack of convenience. 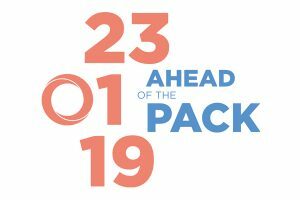 In 2008, the brand which had been acquired by a global FMCG group, was the first to launch in a beverage can with foil overlids, which had been specifically developed to overcome consumer concerns regarding hygiene issue by keeping the lid clean. However, the foil overlid is an expensive solution requiring additional equipment on the filling line and as a result it has had a limited take-up. The family, though no longer involved in the business, continued to be interested in their legacy in the drinks sector. They were approached by some engineers asking if they were interested in helping develop a new end which overcame the hygiene issue, with the opening panel remaining attached to the can but not going into the drink. They funded some initial work, as they understood that the hygiene issue needed solving. Similar ideas had been around for years but they had never functioned properly. This concept work led to a working prototype model of Open Clean being developed, which contained numbers of novel features which have been patented across the world. The Open Clean prototype was presented to a major global can user and beverage can manufacturer who showed considerable interest. This led the family to move forward to the next stage of the project and this was when I became involved with Open Clean. Over the past few years we have worked with a range of engineering partners, most recently with Dayton Systems Group through a major development programme to bring a fully functional Open Clean end to the market. 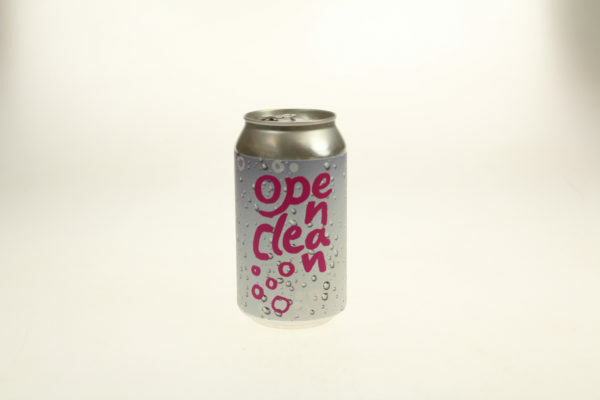 As well as overcoming the hygiene issues, Open Clean solves the problem of the impeded pour experienced with an SOT cans, as it has a clear opening. Pour has become a major issue for beer brands, due the turbulence in the SOT can creating unacceptable levels of foaming with their lager. This problem has meant that many Asian brewers have continued to use RPT cans and has led to the development of complex venting ends for use with major brands in the US. The impeded pour is also a growing issue for premium soft drinks with added fruit particulates in Asia and the Middle East, and which led to the development of cans with very wide opening RPTs. Another issue that has led to the continued use of RPT cans in Asia is the ability for brand owners to run high value promotions, as prize advice can be securely printed on the inside of the can to be exposed on opening, rather than hidden under the tab on SOT cans, which can be subject to tampering and due to the limited space is not user friendly. Open Clean brings cans with the ability to provide secure promotions and authentication without the issues of SOT. From a consumer perspective, Open Clean cans meets the need for hygiene, improved pour and promotions that is not achieved by cans with SOT. It also overcomes the litter and ingestion issues with RPT cans. 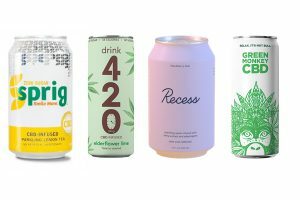 Market research carried out by a leading firm, SWG in Italy, supports these claims with a third of users of SOT being dissatisfied with beverage cans due to hygiene issues on an unprompted basis. During the research, when users were shown and used Open Clean, half of them said they preferred it due to improvements in hygiene and a better opening. 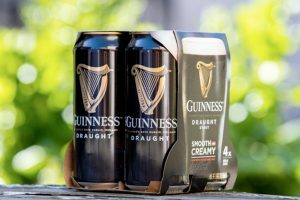 A third of users also said they would change from their favoured brands in SOT cans to a competitor brand if it was available in an Open Clean . This was not a surprise for the family, as they had seen the issues with SOT cans in the past. Bringing Open Clean to market for the can maker is relatively simple and speedy. This innovation is based on proven ends manufacturing technology and can be produced on exiting equipment using current shells and tabs with partial tooling changes. For the filler, Open Clean will run on existing filling lines with no need for any adjustment. Open Clean launched at Asia CanTech in Bangkok in November, bringing a new and improved experience for consumers. Samples are available for testing and you can get more information on the website www.openclean.eu .